We’ve all been there, whether in our younger years or the present. We’ve wanted to learn piano fast, and instead of playing what you were forced to practice piano scales, and songs that nobody could recognize. What was the problem? You weren’t playing songs you wanted to. Instead, you were playing to someone else’s tune. 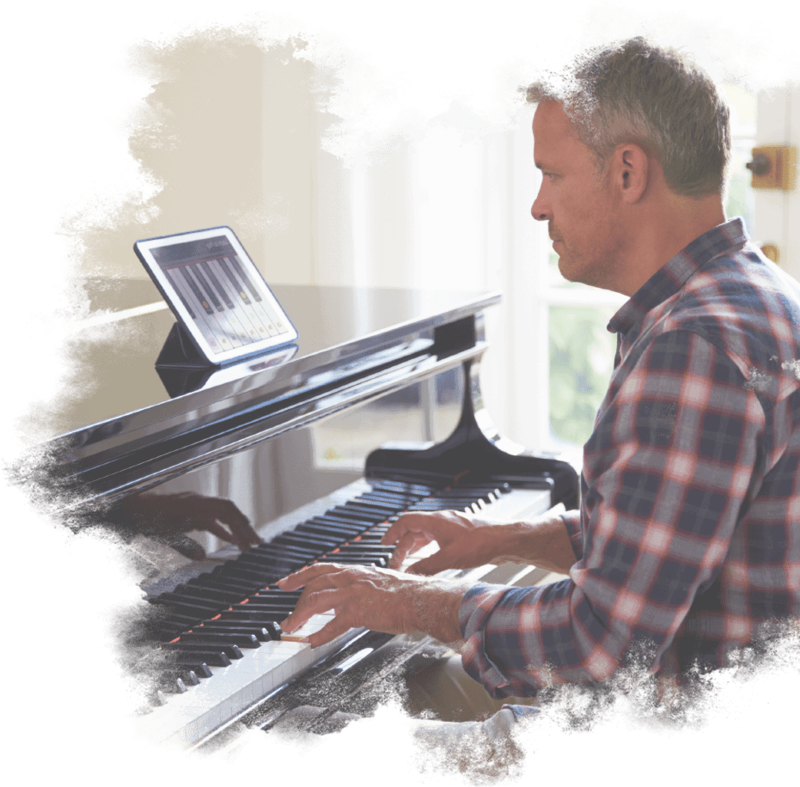 The beauty of online piano lessons via Piano in 21 days, is that you don’t have to play to someone else’s tune, as you get to choose the course that Jacques provides, rather than being forced to play something that a teacher has decided you should do. Grab your FREE copy of Jacque’s New Workbook! So, what is the purpose of playing piano, or more specifically why do “you” want to learn how to play the piano? As with anything in life, once you know the purpose of doing something, you’ll find that it’s easier to do it. Maybe it’s because you wanted to learn your favorite pop song, or perhaps it’s a life goal to be a pianist in a band and go on world tour. Either way, your purpose is to learn to play what you want to, and how you want to. So, your mission would be for the skill of it. Or maybe playing piano makes you happy, and every time your fingers touch the keys, it brings a smile to your face, and warmth to your heart. If that’s the case, then happiness is your purpose for wanting to learn how to play the piano. Whatever the reason may be, it’s something that you’ll need to discover for yourself, and only you can find it. 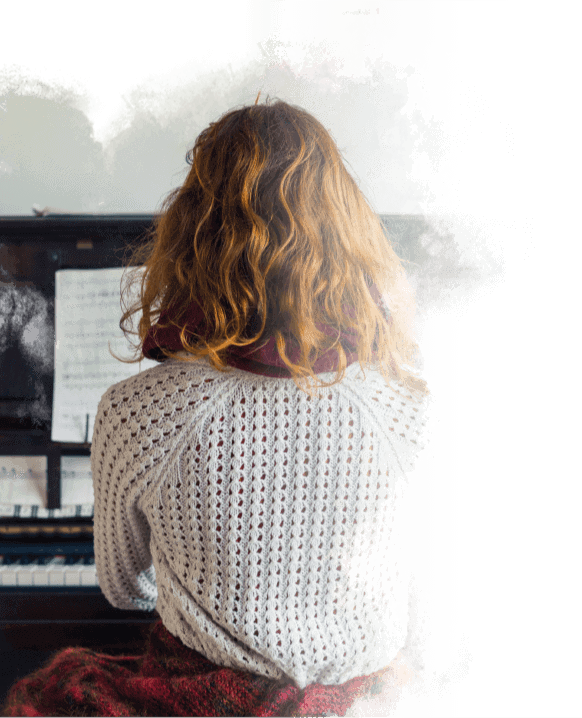 However, Piano In 21 Days can help you on your road to discovery, through our wide range of courses covering topics from improvisation, to specific songs, as well as technique videos too. So, what’s the benefit of learning online then? Surely you could get a piano teacher to help you learn how to play along with Billy Joel, Nicky Minaj, and 21 Pilots? Well, this is true, you could. However, not many piano teachers are firm advocates of improvisation and semi-informal lessons. They believe that more rigid lesson plans and skill development are in order. For the layperson, this means scales, arpeggios, and finger exercises. However, online piano lessons don’t always follow the natural course of piano syllabuses. On Piano in 21 Days, Jacques’ lessons not only cover the technical side of piano (such as the scales as mentioned earlier and arpeggios), but he also has lessons on how to improvise, how to follow the lead of another player, and which chords to use when writing your own songs. How then is it different to a real-life lesson? There’s a few reasons why. Some of those are repetition, and convenience. 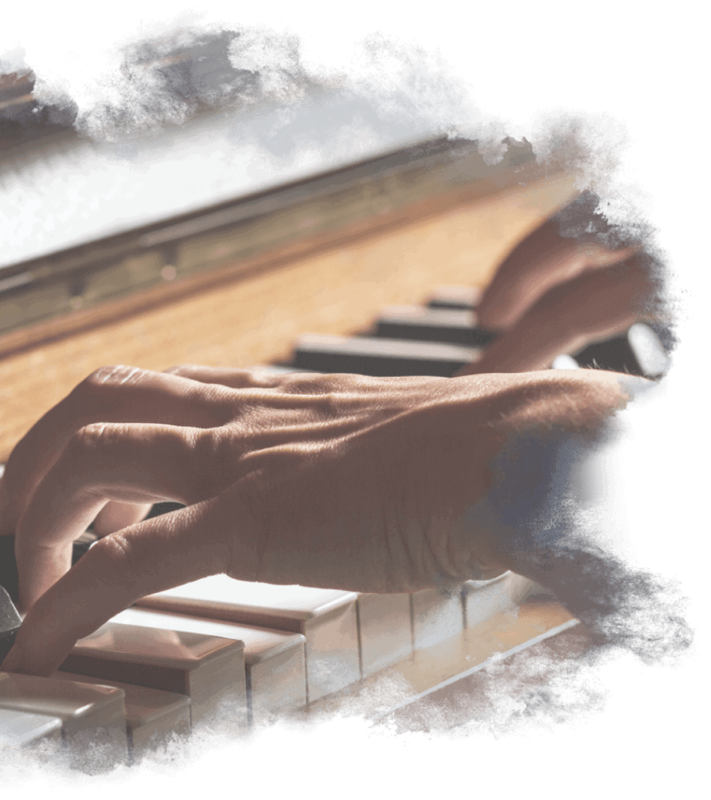 The first benefit to online piano lessons is repetition. Not the kind that makes you go insane, such as scales however. We’re talking about the ability to repeat what you just heard until it makes sense. Because all of our videos are online, it means that you can pause the video while you practice, and then rewind it and play it again and again if you’re struggling with a concept or the finger positions of a chord. If you had to try this with a real teacher, chances are they would probably get sick of it after 5 minutes of “please show me again?”. This is why online piano lessons are great for helping you learn piano fast. If you can repeat a part you’re struggling with, you’ll be able to overcome it more quickly than if you had a regular lesson, and that means that you’ll progress a lot faster than you initially thought you would. 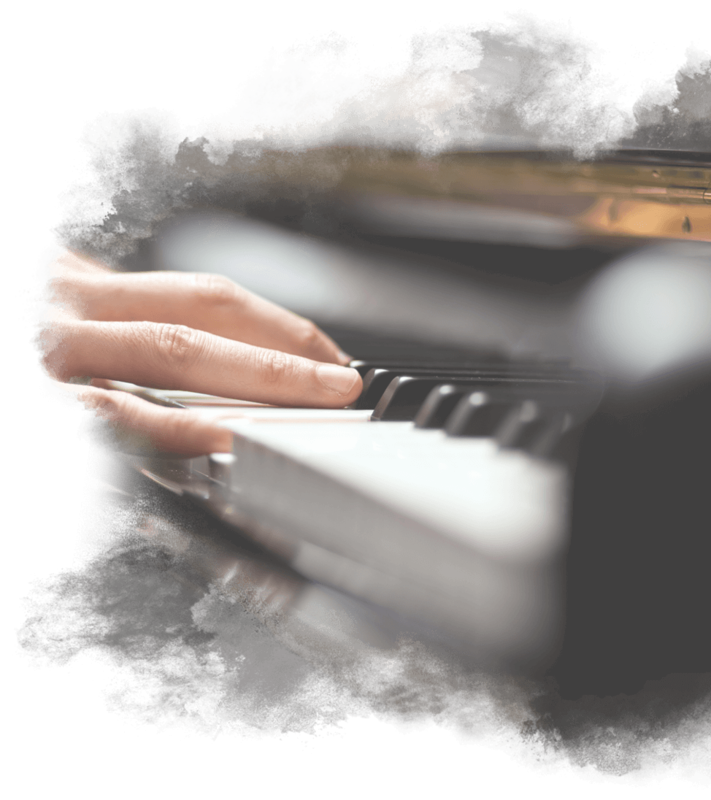 True, some people do struggle with concepts more than others, but that’s just another reason to try online piano lessons if you want to learn how to play the piano. The next benefit to online piano lessons is convenience. “Time is money,” or so the old saying goes, and the meaning conveyed by that phrase carries a lot of weight in this modern age of fast cars, smartphones, and a rushed equally modern lifestyle. This means that it’s more difficult to take time out of a busy schedule to take your child to their piano lesson or to take yourself to your own piano lesson. When it comes to online piano lessons though, different rules apply. Because the internet never sleeps, it means that you can start your piano lesson at any hour of the day. If you want to play piano at 7 AM in the morning, you can. If you would rather spend 15min of your lunch break trying to learn piano fast, you can do that as well. Or if you find that you do your best learning just before the clock strikes at midnight, well you get the picture. It’s pretty convenient that you can play your piano lesson at any time of the day (so long as your neighbors don’t mind), but that’s not all! You can also do as many lessons as you want! 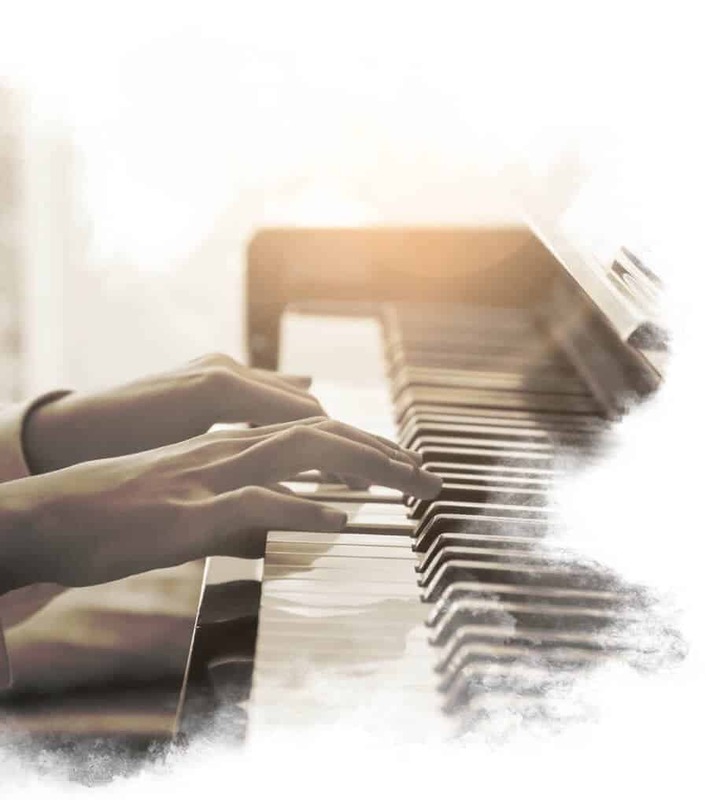 Ordinarily, if you were learning piano in a classroom, or according to a music syllabus, your teacher would limit you to a specific learning speed, and you would methodically and systematically work your way through the coursework. But for those just wanting to learn to play piano, this can be tricky on both ends of the spectrum. You see, some people learn piano fast and can cover a lot of ground relatively quickly, whereas others learn piano more slowly and might struggle with a few fundamental concepts. In both cases, having their speed determined by a teacher can either hold them back or push them out of their depths. With online piano lessons, “you” are the limiter, and you determine if you’re ready to move on. If you want to do a few lessons, well you can. If you’re prepared to cover an entire course in the space of a week, then all that you’ll need is the time to watch the videos. That’s why online piano lessons on Piano In 21 Days is beneficial. When it comes to online lessons, the sky (or rather the “cloud”) is the limit. Lately, the common popular trend has been to learn a particular trending pop song. This could be anything from “Cheerleader” by ONI, to the record-breaking “Despacito” that hit No.1 on YouTube’s most played list. Learning to play popular songs frequently played on the radio is a great way to gain self-confidence as well as popularity. The other method of learning that’s popular is improvisation. This is where you learn the basics of chord structures and progressions, as well as musical keys. This is useful in learning to play piano if you’re the sort of person that likes to “jam” with others, by playing along to whatever’s going at that present moment, trying to find the right notes, and laughing uproariously when you mess up. Improvisation is a great way to build friendships, and enhance your enjoyment of music, as well as being a great way to learn piano fast. And then there’s a third option, which is a combination of the first two options. Some people like to learn to play a pop song, only so much as to learn the chord progressions and patterns. Then they put their own spin on the song and turn it into their own. If you’ve ever heard a piano cover of a song and thought “that sounds pretty cool” …well now you know how you can do it yourself! Just start with one of our improvisation courses, then move on to one that teaches you how to play a pop song, and the last step is to combine what you know and voila! You have made your own version of the song! The long and the short of it is this…you need to find out who you are, and what your sound on the piano it. 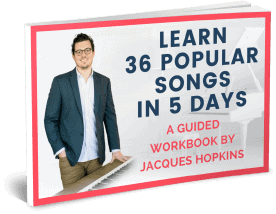 The courses by Jacques on Piano In 21 Days will equip you with all the tools you’ll need to go out there and conquer the music world, but it’s up to you to decide what you want to do with it. You need to experiment with both improvisation and song playing. See if you enjoy playing more jazz-like renditions of songs, or if you prefer the percussive style of playing the piano. Are you more of a team player, or a solo artist? Do you like pop songs or your own compositions? These are just a few of the questions that all the great pianists had to ask themselves before they decided how they wanted to play the piano. Knowing is half the battle, and once you know exactly where you want to go with your musical talents, we’ll be able to help you get there and find your tune! It’s as simple as that!